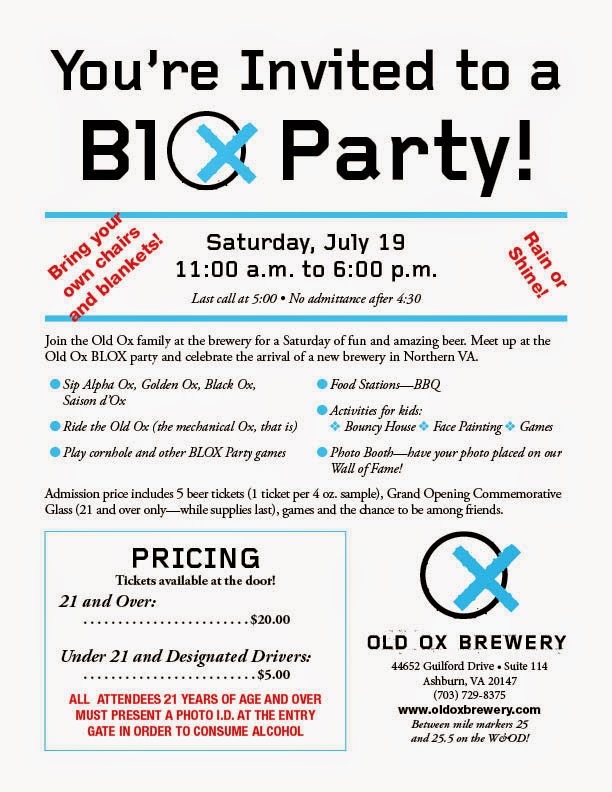 Old Ox Brewery is having their BLOX Party this weekend. Last weekend we had the opportunity to talk with Kristen and Chris Burns. Kenny Allen, brewmaster, was the former head brewer of Old Dominion. They have also recently hired Noah Cowles from Chocolate City in DC. We are looking forward to their kick off.